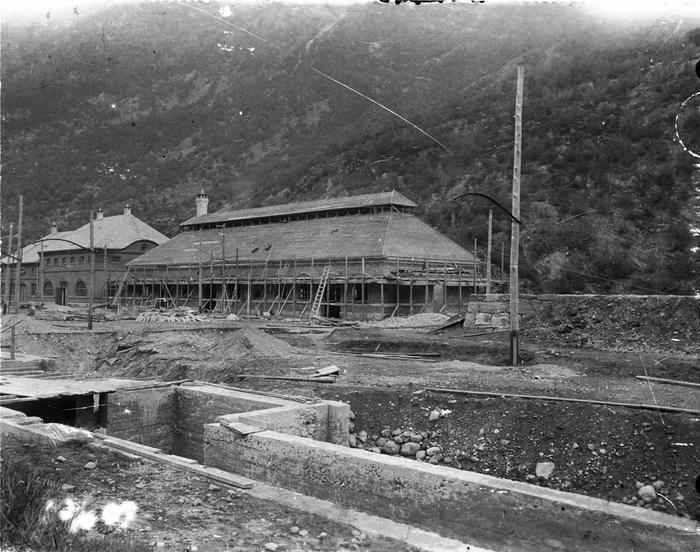 The smithy served as workshop for making the tools required for pouring the carbide, assembling electrodes and producing the pots into which the molten carbide was poured. 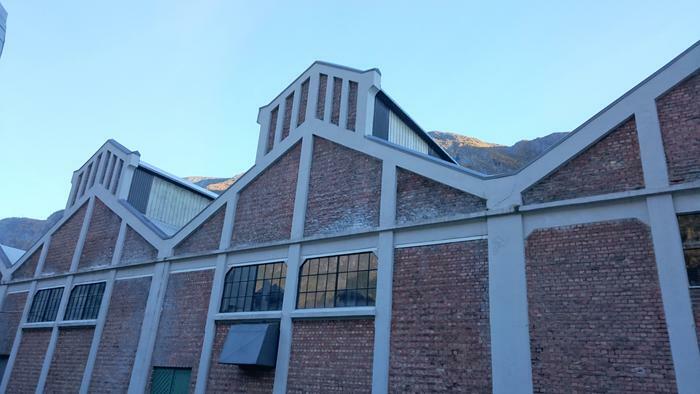 The building had to be finished and ready for work by the 15th of June 1907, before the carbide ovens were started. Unless the deadline was met there would be penalties, as stipulated in contracts kept in the company archives. An operational and spacious smithy was of utmost importance for building and operation of the plant. Already during the building site works, in 1906-07, there were several makeshift smithies on the factory grounds. 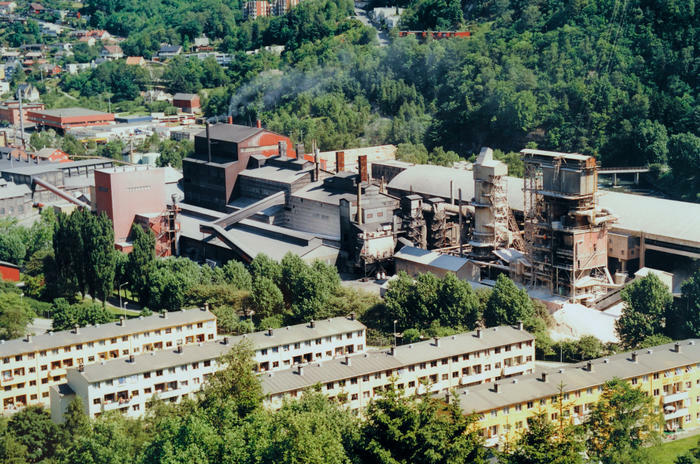 In the early years of the plant much of the equipment was made locally by highly skilled workers. 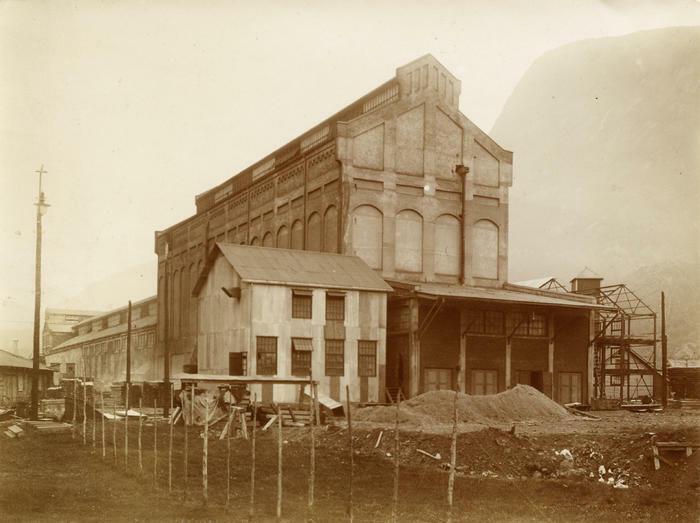 The Cyanamid factory had own workshops and forges. 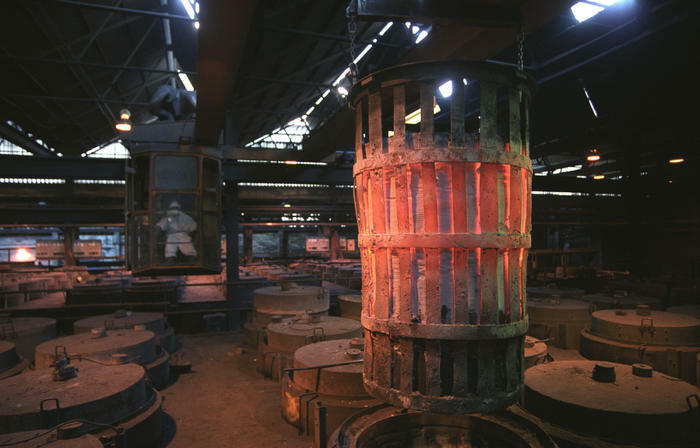 The forges played a crucial role in the operations and maintenance work at the smelting plants. Many youths have done their apprenticeships in the smithy over the years, and a lot of equipment for private use has been produced here, both during and after work hours. 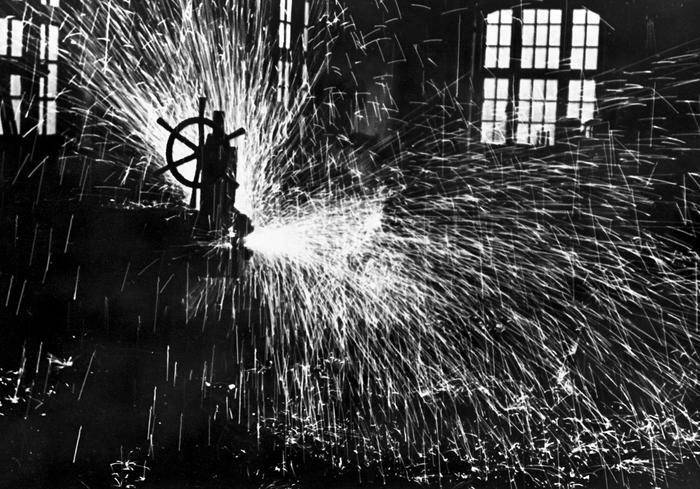 From 1912 to 1914 the production capacity was increased, and the workshop and smithy had to be expanded. 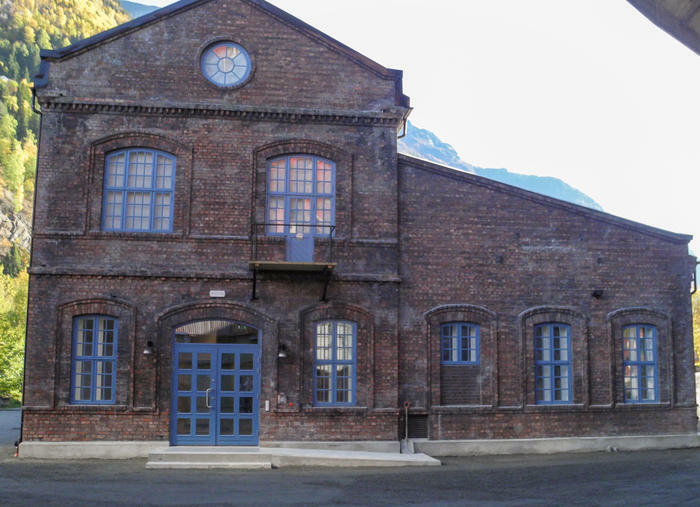 Until 2003 tools for smelting, melting pots and equipment for the electrodes of the carbide ovens were made in building 26. All the products were adapted to keep abreast with technological developments. 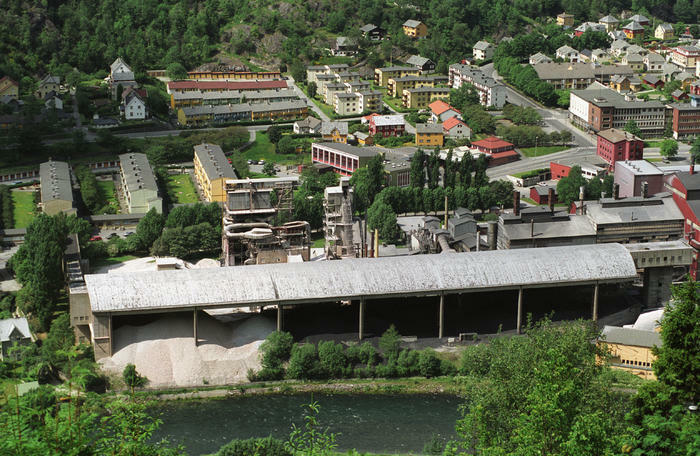 Building 26 is Scandinavia’s largest remaining industrial smithy. 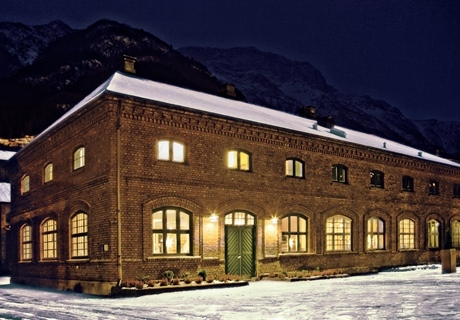 It belongs to the Norwegian museum of hydro power and industry (NVIM). Part of the building is used as deposit for the museum. 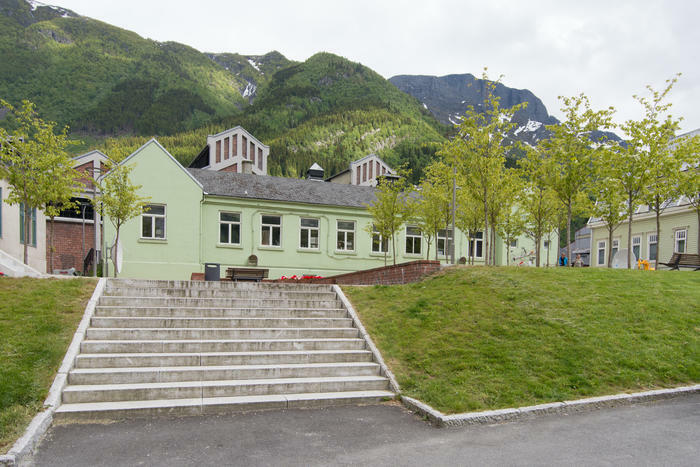 The County of Hordaland and the Odda Secondary School established the country’s first professional course in forging in the autumn of 2015. Architecture: The building is in brick, with elaborate details. It is an example of the type of industrial brick architecture which saw the light in England and was later introduced in the United States. The style differs radically from local building traditions. 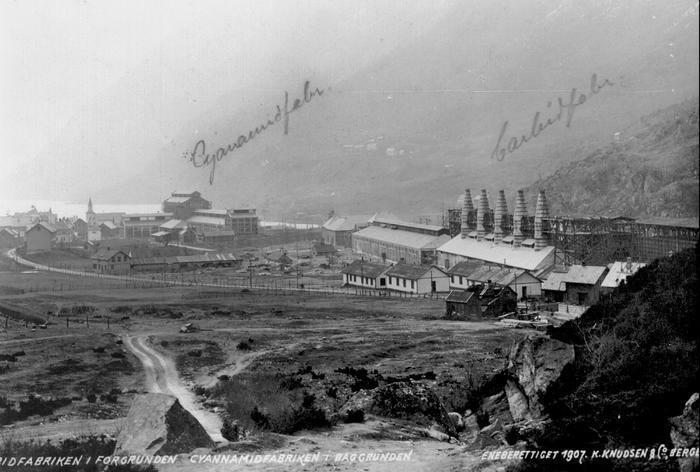 -My brother-in-law moved to Odda and at Pentecost of 1911 I visited him with my wife. I wanted to see the factory where he worked, but I could not get in. The only way to be allowed in was to bring food, so on the first day of Pentecost I brought him coffee and food. I was allowed to take a look at the smithy, and I told my brother-in-law: “This is the place for me”. I decided to move to Odda right there and then. 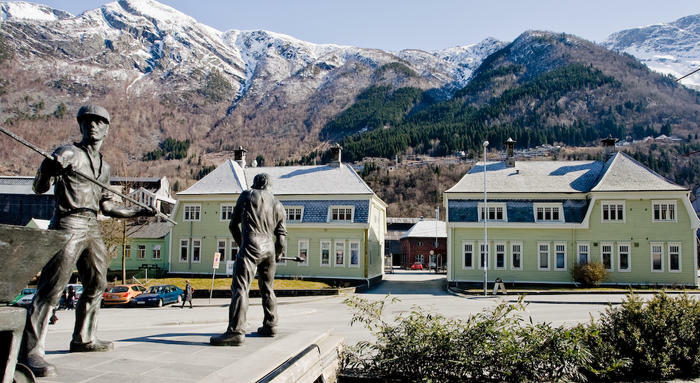 Ingebrigt Olai Johannessen (1878 – 1968) was a trained blacksmith, and had run his own smithy at Fjøsanger near Bergen, which he sold when he moved to Odda in 1911.